Easily create your floor plan. WeddingWire&apos;s free Seating Chart makes table assignments easy. Automatically sync with your Guest List - all you have to do is drag and drop guests into their seats! Print, email or export your WeddingWire Seating Chart in a visual or list format to pass along to others. May I just say.. I absolutely LOVE the WeddingWire seating chart planning tool... This has been THE BEST planning tool I've found. This website has an insanely user friendly seating chart. It allowed me to edit and personalize each table and add seats and subtract seats. The seating chart on WeddingWire was a lifesaver and was done in no time. Deciding who’s going to sit where can be overwhelming, but our wedding Seating Chart tool makes it easy. We’ll help you set up a floor plan, seat your guests and share the chart with your VIPs. Foam boards and thumbtacks won’t be needed. With our wedding guest seating tool, you can drag and drop tables to mimic your reception layout. This will help you visualize where the tables will be, and where guests will sit at each table. How do you make sure all your guests have seats? Our Seating Chart tool lets you sync your guest list with the floor plan. Watch your seating arrangements take shape by placing everyone in the seat of your choice. Lots of people will want to glance at your wedding guest seating plan. 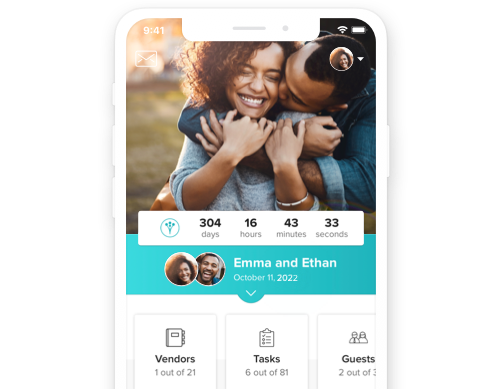 Easily print, export or email everything to your fiancée, planner, venue, or anyone else who may need it. They’ll have it in their hands in a few clicks.